I have a confession: I don’t like durian. When I was a kid, I would run upstairs when my whole family eats this pungent fruit and I forbid them from keeping any leftovers in the fridge. It wasn’t until recently that decided to learn how to appreciate what people refer to as king of fruits; it proves to be a difficult undertaking! But I’ve always like durian dodol and durian potong so it’s a good start. 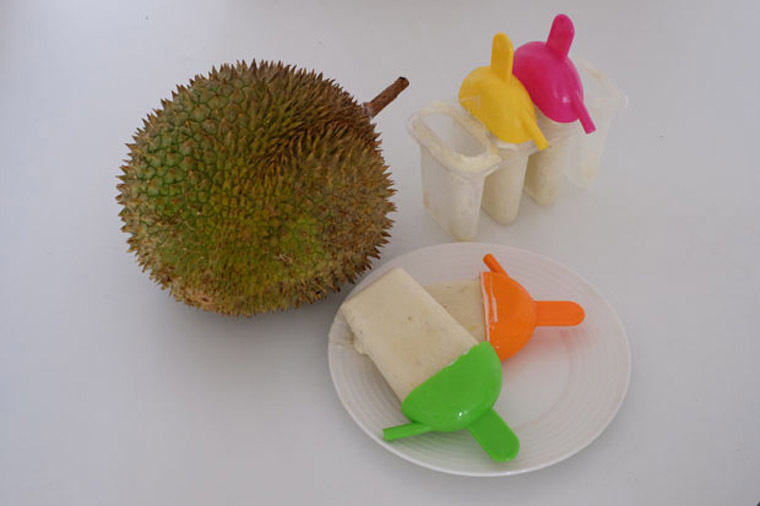 This durian season, I’ve been thinking of ways to create durian-infused dessert to appeal to those who love or hate durian. My first successful try: homemade durian potong! I’ve browsed through several recipes on the Internet but didn’t find one I really like. It is said that coconut milk gives it more ‘fragrance’ so I decided to use that instead of cow’s milk. However, using coconut milk alone made the mixture too thick so I had to I add some cow’s milk. My durian potong turned out delicious, creamy and filled with durian goodness. I would say it’s better than store-bought ones (and not as sweet)! Step 1 TO COOK MIXTURE: Remove flesh from durian. 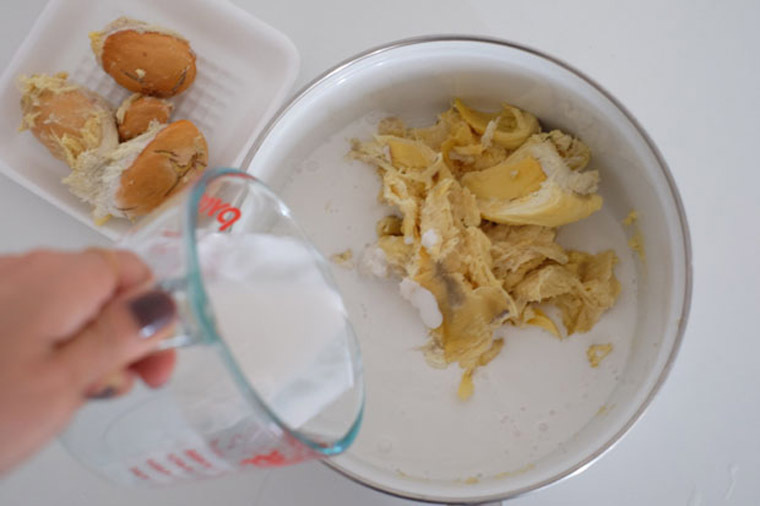 Add durian flesh, coconut cream, milk and sugar into the pot. 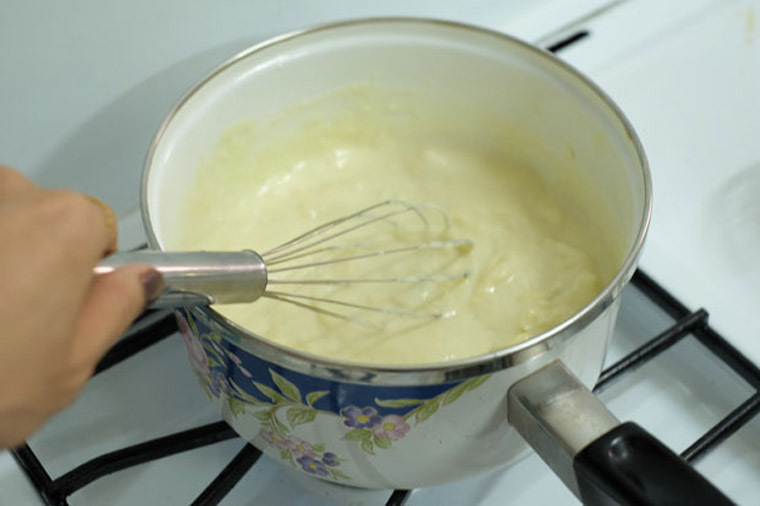 Cook mixture in low fire and stir it with a whisk until its mixed well. Step 2 TO MAKE POPSICLE: Scoop mixture into the popsicle molds. Pop the mold into the freezer and freeze until firm. Step 3 SERVE: Unmold popsicle and enjoy! Cook 200 g durian fresh + 250 ml coconut cream + 100 ml milk + 4 tbsp sugar on low fire. Mix well with a whisk. 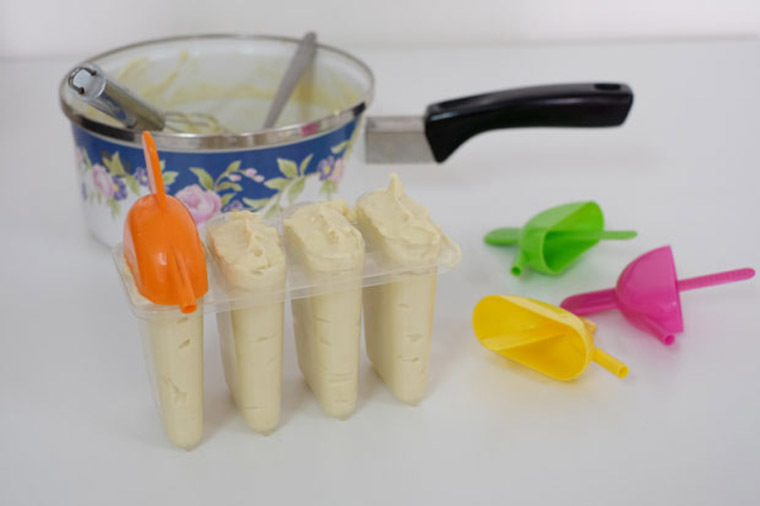 Pour cooled mixture into popsicle mold. Freeze until firm. 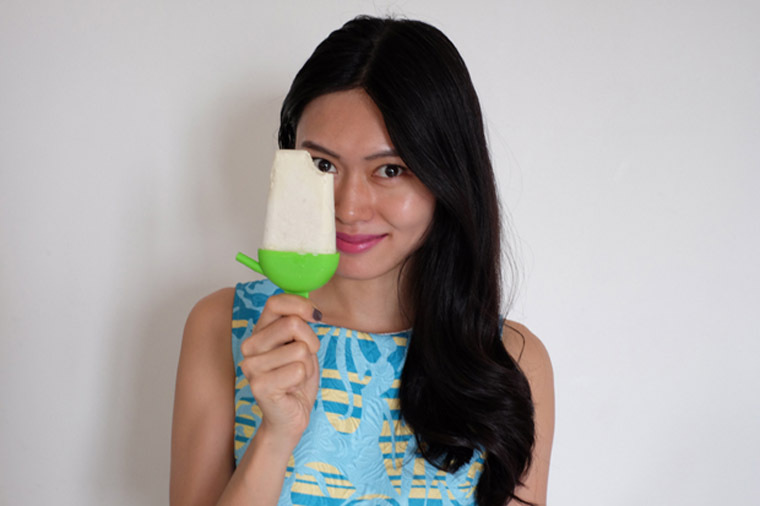 This recipe makes just enough for my 400 ml popsicle mold. Most recipes calls for sugar. As I’m making it for elderly who have diabetes and the durian was sweet enough, I decided to omit the sugar. If you want it to taste of those you bought in store, add sugar. Most people will probably like it that way. 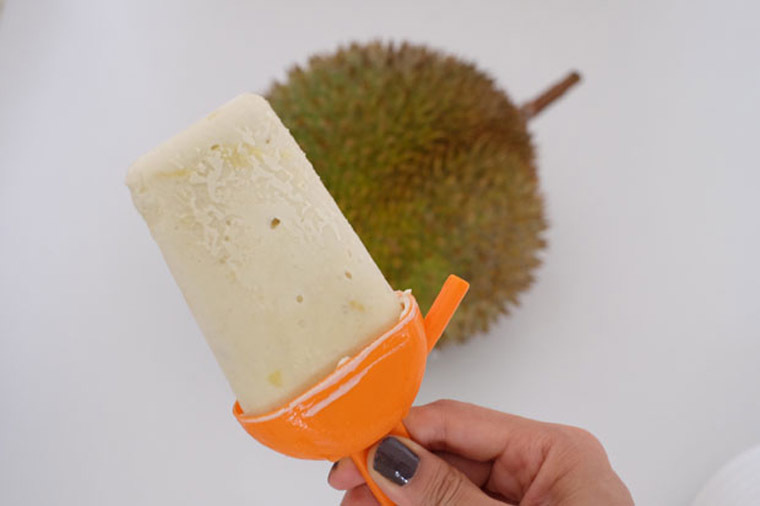 If your sole intention is to make the popsicle and not because you have extra fruits left from a durian party, it’s more convenient to buy packet durian from the supermarket. To unmold the popsicles easily, immerse it in a bowl of water for a few minutes. The popsicle may be difficult to remove otherwise.